You may have seen us at the 2014 Pharmacy Show at the NEC in Birmingham. We can show you the benefits of providing your pharmaceutical content in different languages. 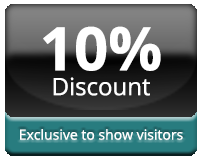 We are offering all attendees of the Pharmacy Show an exclusive 10% discount on their first translation order. Just register your details with our team who will be able to discus all your specific requirements. We have summarised the process of translating a medical project in an article that could help you significantly improve your ROI. By translating your content you will be able to start engaging with markets and customers beyond your own borders. Communication is the primary factor in building relationships with your audience, so talking your customers language must be the goal if you intend to develop a global business. The field of pharmaceutical translation involves a highly specialised localisation process, requiring skilled linguistic experts to meet the demands of the industry and the customers it serves. We pride ourselves on delivering such expertise, our partners the NHS, British Army, Celesio and AAH Pharmaceuticals have all used our services to help engage with a wider audience. If you too appreciate the value of being able to communicate with your customers on their terms, our team are on hand to advise you on how you can start benefiting from our specialist language services.